Our goal with our new, Yellow Label Enan was to create a solo three-season tent that was both very light - 1.1 kg/2 lbs 7 oz packed weight - but that also matched our principles of strength. While the Enan takes after our award-winning, best-selling Akto in design, and uses the same DAC NSL 9 mm pole, it is very much its own tent. 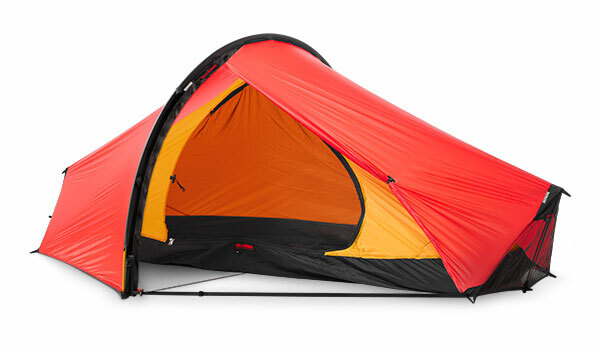 The Enan uses new, lighter fabrics, including our new, proprietary Kerlon 600 outer tent fabric, a 10 denier high tenacity ripstop Nylon 66 triple coated with 100 percent silicone. Kerlon 600 offers an impressive 6 kg (13.2 lbs) tear strength at an equally impressive 26 g/m2 (.77 oz/ yd2). Overall, the new Enan is pleasantly roomy, wonderfully lightweight, and small in packed size, making it a superb choice for snow-free adventures where having your own space is just as important as lightweight strength!